My husband and I celebrated our 7th year wedding anniversary in Taal Vista Hotel last weekend (will create a separate post about our weekend stay there). 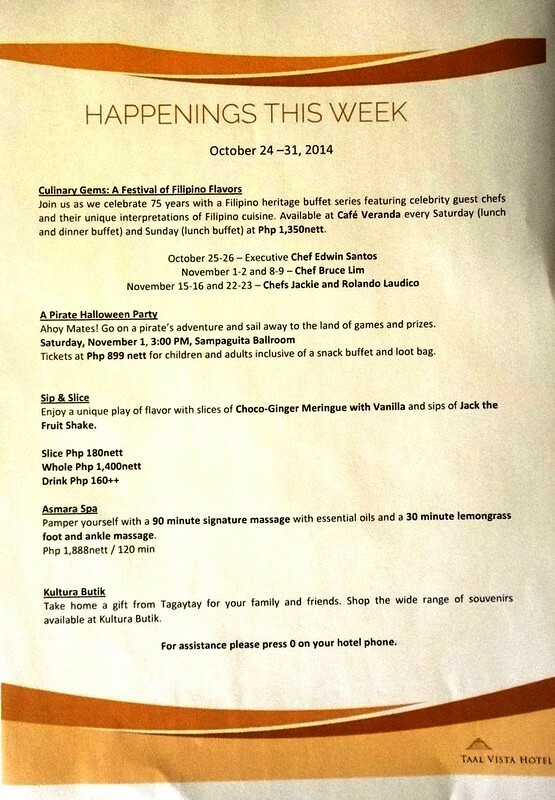 Coincidentally, Taal Vista is also celebrating their 75th year. Wow! Thar's been a long time. They have this wall in their lobby (if you're going to the viewing deck at the back, you will never miss this wall) which shows the rich history of Taal Vista Lodge as the first hotel in Tagaytay till present. Originally it was owned by Zamoras and I only get a glimpsed of Development Bank of the Philippines acquiring it in the 80s or is it in the 90s until SM Holding group finally owns it (so that's the reason why they have a promo rates for SM Advantage card holders....). 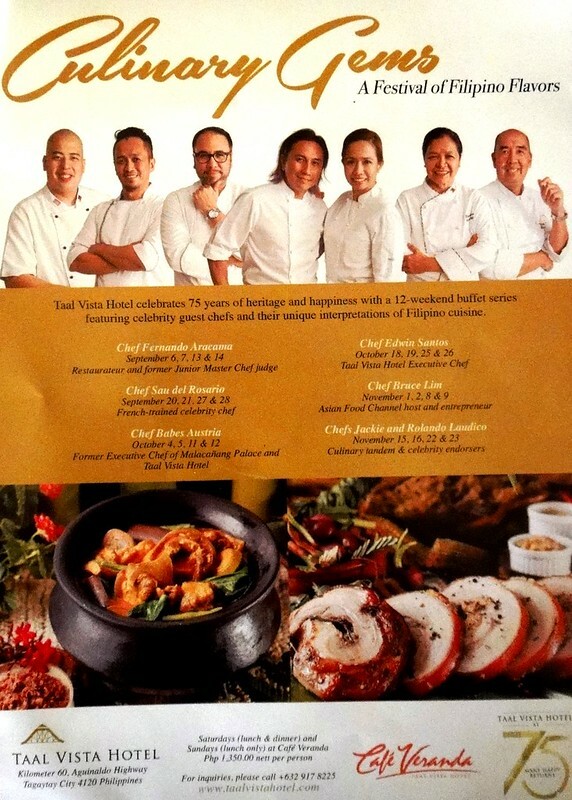 If there's a special occasion coming up, why don't celebrate it with food at Taal Vista Hotel. For Php 1350nett it's going to be worth your money and time. For inquiries and reservations, please call +63 (2) 917-8225, +63 (46) 413-100 or +63 0917 809-1254. I can't help but post this in my blog. Do you remember Sister Cristina (aka Suor Cristina) from the Voice Italy? She became a worldwide sensation due to the fact that she's actually a nun but decided to join a reality talent show. Isn't she amazing and cool? She won the hearts of the many thus she was the winner of the Voice Italy 2014. As we all know the winner will get a record deal and here she is singing Like A Virgin from Universal Music Italia. As of the moment the video is at 98,000+ views. Thanks to Daphne for sharing it in her Facebook page. I wouldn't know about this if not for her. It's a must nowadays to live within a certain budget or if you can spend an extra luxury, the deal should be good. Come December a lot of people will spend their hard earned 13th month pay and this is the time that installment plans with zero interest are being offered left and right. But what if you can shop all you want with deals, discounts and promos without stepping out of your house, are you up for it? Sears, an American multinational department store chain figured out what everyone wanted and that's why they decided to keep up with technology and have their very own online store that offers sporting goods, furniture, appliances, home improvement, etc. It's like visiting a department store only you don't need to step out of your house and you can window shop anytime you want. No closing time. 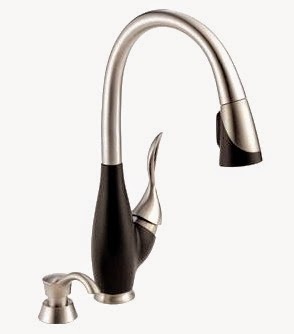 Should you want to buy something for home improvement like faucets or showers, no need to worry about spending your money when you can use some Sears coupons. 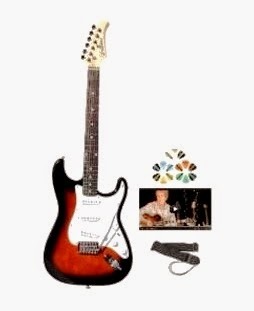 How about a J.C. Higgins sporting gear or Silvertone guitars for your brother or son? You can use Sears promo code to avail discounts which you never know exist. Should you have any queries or concerns, they have an n online chat support agent to assist you just like the a normal sale associate. What are you waiting for? Give Sears a chance and explore their online department store and what they has to offer for you and your family. I'd be honest that for quite sometime I never purchased anything in a mall for my personal belongings. If my memory serves me right, the last purchased that we had was window blinds, cloth hangers, memo pads and decorative tapes. It's not thrilling I know but since most of my time is spent in front of a desktop with an internet connection, I ended up buying dresses, blouses and shirts online. I'm pretty sure you all are no different from me. There is a convenience in shopping online especially on my end since the traffic here is horrendous. Not to mention that the holiday season is nearing and various malls are offering sale and people are clamoring to get the first dibs on the items. I've been there and done that thus I find it a relief that brands such as Nordstrom have an online shop that you can browse over and over again without a sales assistant getting impatient or glancing cautious looks on you. Thank you technology! Cool! 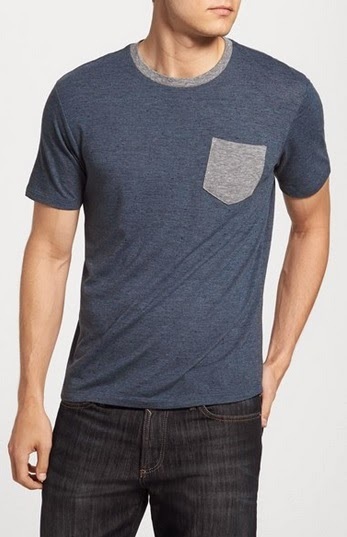 The pocket t-shirt happens to be on sale. I wonder what are the other colors they have for this style. So you see, you can still get savings when shopping online. Just like the regular stores in a mall, they offer discounts and promos. 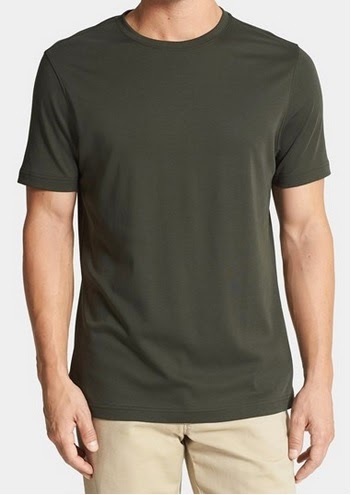 Oh, I love the color of this shirt (picture below) and I'm sure my husband will agree since he has a thing for color green. Should you see some items that are not on sale just like this, don't fret. There are Nordstrom promotion code or Nordstrom coupon to help you save money and keep your bank accounts healthy. Problem solved! I'm definitely going to use the promo code for this item. Isn't exciting? 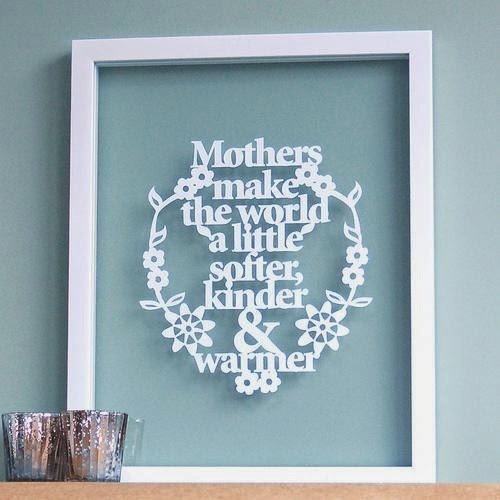 There are times that I find browsing through online stores or shops therapeutic. It gives me something to look forward to and I can plan what to get and give without leaving the comfort of my house. Indulge and check Nordstrom online store and make sure to use their coupon codes/promotion codes for 2014 should you end up making a purchase. Enjoy and you are welcome! Let's take a break from shopping and entice our taste buds with my discovery that I want to share with all of you. Last August I volunteered to assist in a photoshoot event. 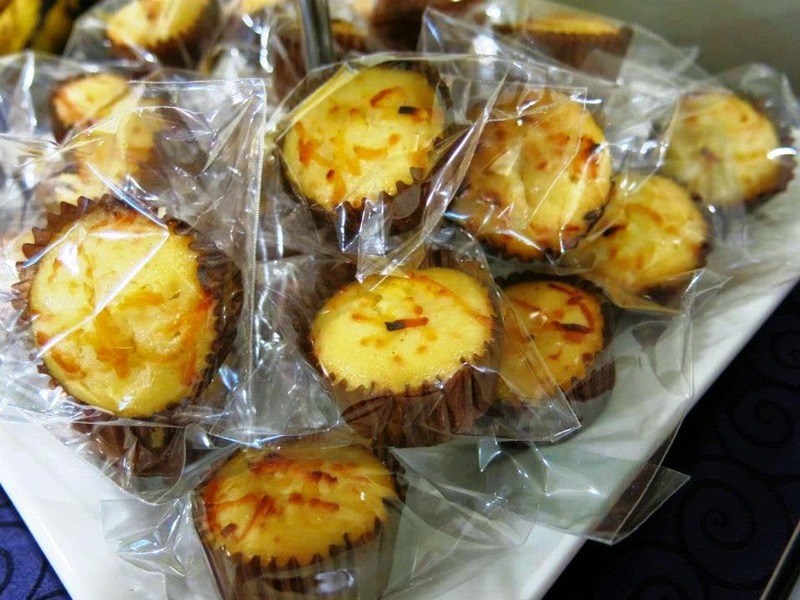 I didn't expect much since I'm not really a part of the organizers so I was thrilled to be given some snacks by generous ladies to get me through the afternoon/ One of the snack is Mama Chows cheese cupcakes. I wasn't aware that I will be in for a surprise when I took my first bite on the cupcake. It's soft not spongy like the other cupcakes and the best part it's flavorful. The ingredients are not scrimped that's why it tasted so wonderful! 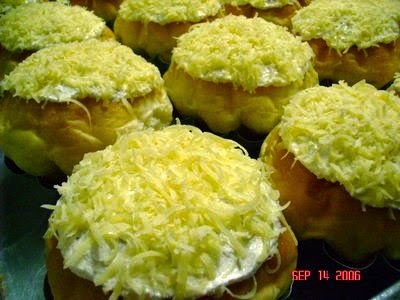 It's definitely cheese cupcake and not a sub-standard one. Simply heaven! After eating those cupcake, my standard for cheese cupcakes are set high. I can't get over with my feelings toward these pastries thus I ended up ordering a dozen as a "thank you" gift a few days ago. In addition to the cheese cupcakes, I also ordered a dozen of ensaimadas. It's also one of their best seller and I regret not ordering some for myself. I'm so tempted in placing another order because of the photos but I have yet to wait for my next salary which is still two weeks away. 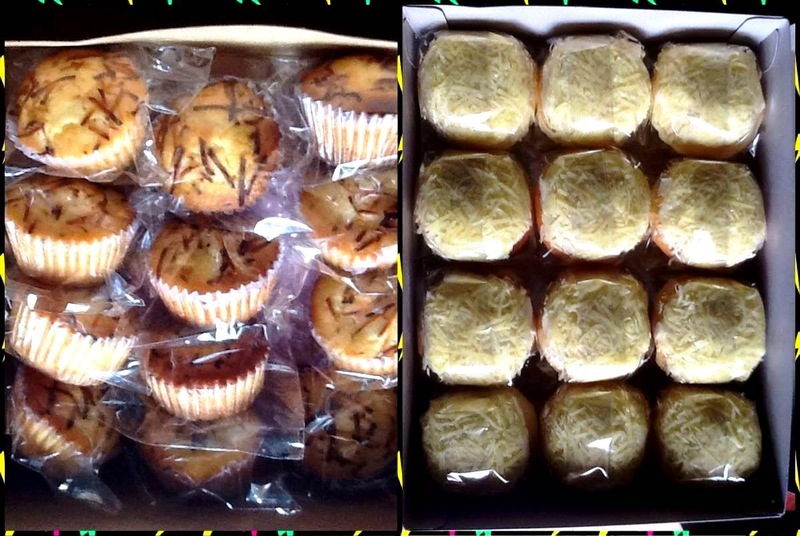 Mama Chows pastries are definitely worth sharing and giving this December or any occasions. I forgot to mention that she's also making pastries for lactating moms to help them produce more milk. Amazing right? She was featured in Food Magazine and Kris TV. Apart from that, her team are the ones who served food for Aerosmith when they came here in Manila for a concert. That's how good they are! Check out Mama Chows Official Facebook page and feast your eyes on her pastries. You need to place your order a few days early prior to your preferred delivery as she is making them fresh from the oven. Hello everyone! Miss me? I know it’s been a long time since I blogged and it’s my fault actually for not being industrious in creating my entries. I have so much to tell that there will be entries that are good for throwbacks. I’m serious in creating entries for Thursday which will be my backlogs for this year, I do hope that you won't be confused. Anyhow, how are you all been doing? I on the other hand as you can tell am busy as a bee. Who says that working from home is such a breeze? I have to juggle two jobs and my household chores. It’s pretty tiring actually thus the lack of posts on my end. But tonight, I’m definitely in the mood to write something that includes shopping! Yes, you heard it right. It’s very timely since Christmas is just a couple of months away and there are loads of sale in the metro everywhere. Sounds good, right? Sit back and relax and let me introduce you to a two brands that you can indulge your eyes and surprisingly can fit your budget. 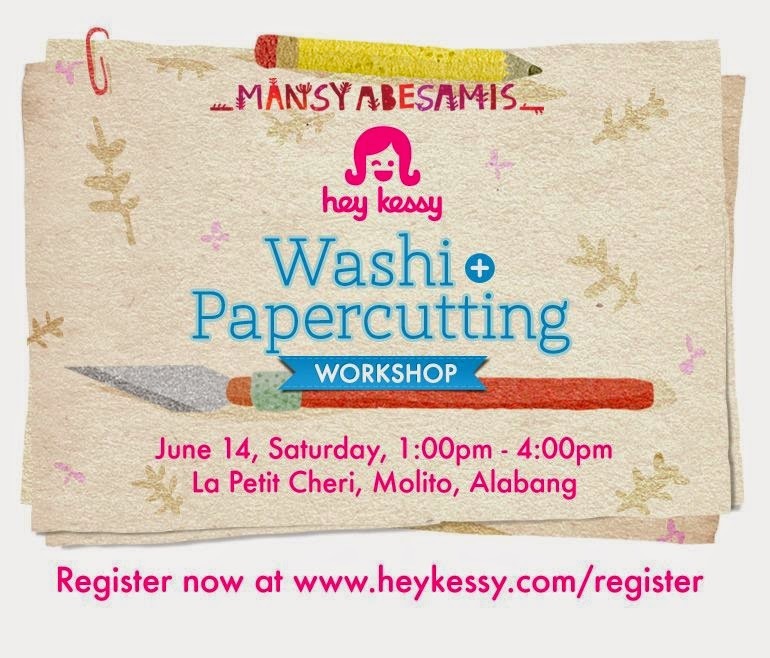 Ever since I stumbled a store of washi tapes named Hey Kessy, I've been wanting to attend her various workshops she organized for hobbyist, crafters and newbies like me. The only issue though is the location since it's always being held in Quezon City area (or anywhere in the Northern part of NCR) which is on the other end of the map from where I am thus I disregard the idea. Finally the workshop is in the South! 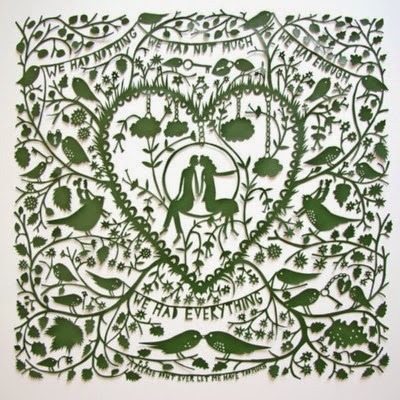 A few days ago, I've been contemplating on trying my hands on papercutting. I'm curious if it's that hard and what will be my creations during my first try. Someone from up above must have heard my thoughts and this is the answer which I effortlessly didn't looked for. 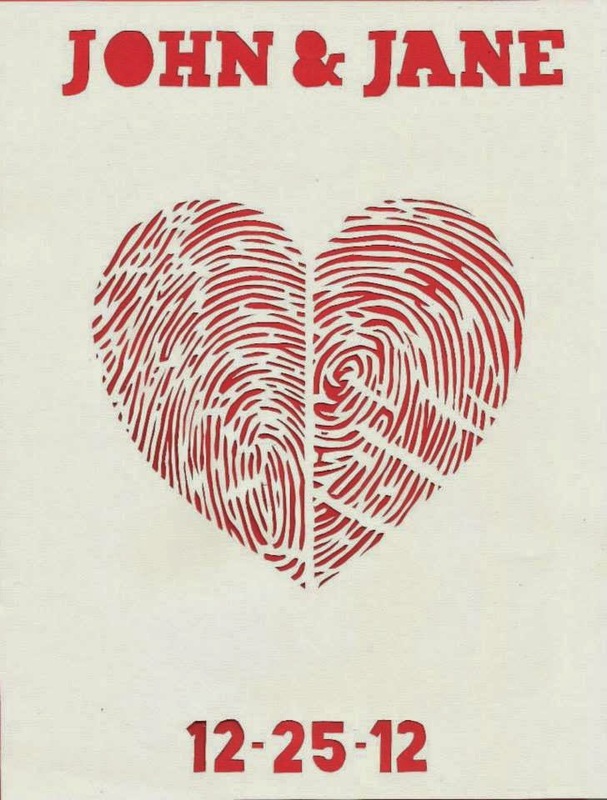 Don't you just love the papercuts? Who knows it might become a hobby of yours truly which I can turn into a business in the future.